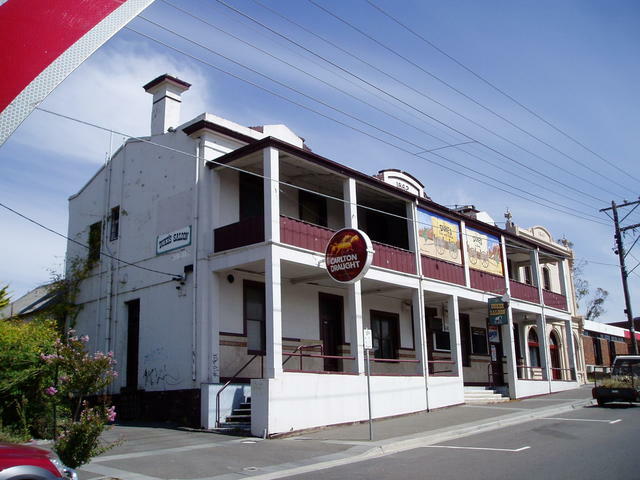 It is not uncommon for pubs to be adjacent to railway lines, and this trail is no different, except of course, the railway has long since become a walking trail. 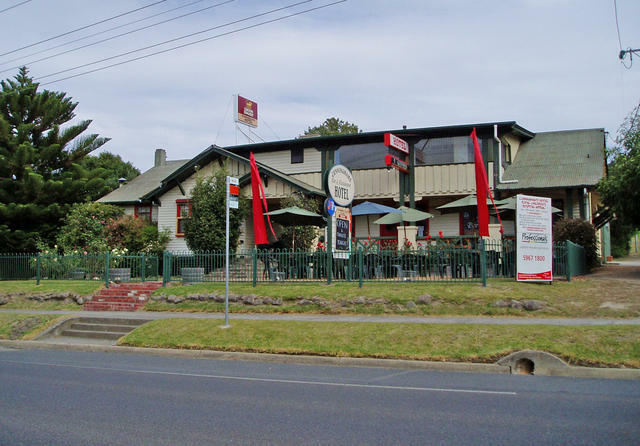 You're about to pass through Cherry growing country, along the Yarra River beginnings, up to reservoir and modest sized mountain areas below Mt Donna Buang. There is the option of using this trail to go deeper towards the western side of the High Country North-East of here to Woods Point. The other branch option is to extend this trail to finally travel South-east through Noojee and down to Moe to join the Prince's Highway. So its a good, quiet, low traffic cut through! 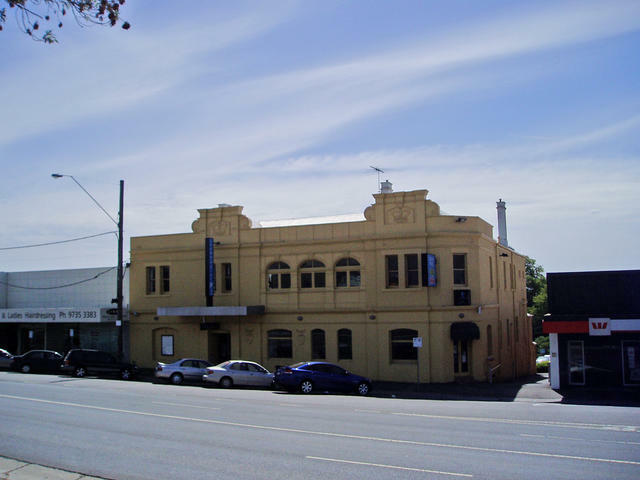 Ideally situated for visitors exploring the outer-eastern regions of the Melbourne Metropolitan area, is LILYDALE. It is easily found leading out of Melbourne via the Eastern Freeway (not the South-Eastern which becomes the Monash freeway! 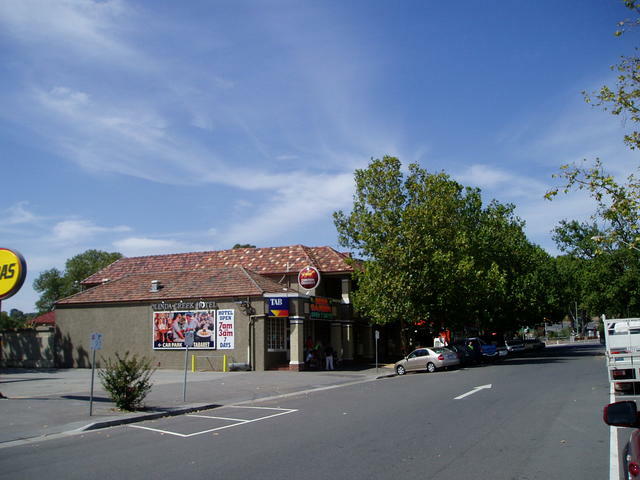 ), and via Maroondah Highway which starts out named as Whitehorse Road in the inner eastern suburbs. Lilydale is also the end of one of the six odd major suburban railway lines (electric trains). 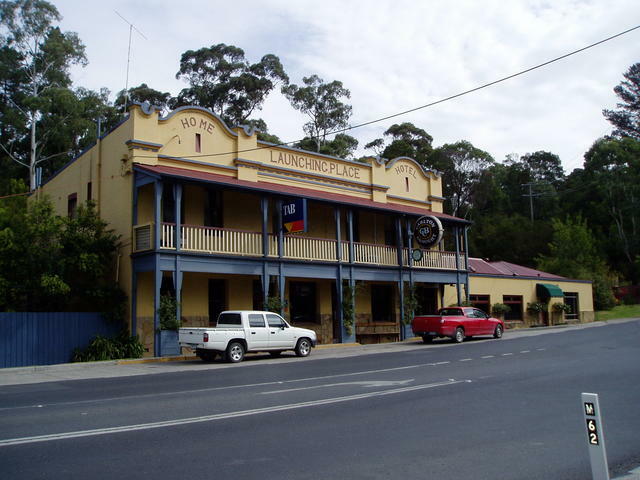 Lilydale is a good resting point in terms of accommodation, be-it motels, bed'n'breakfast or a caravan park not far east of the town along the Warburton Highway which is where this trail will lead you. 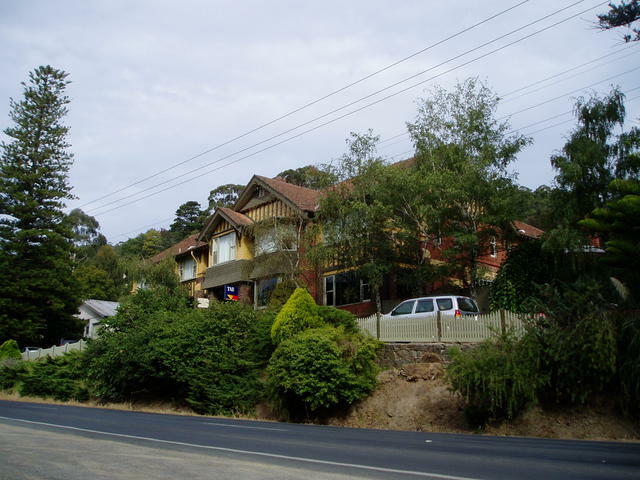 Lilydale is a large township, with three hotels in the middle of town, and two others nearby. It is also the pivot point for a number of other journeys that we'll be providing on this website. 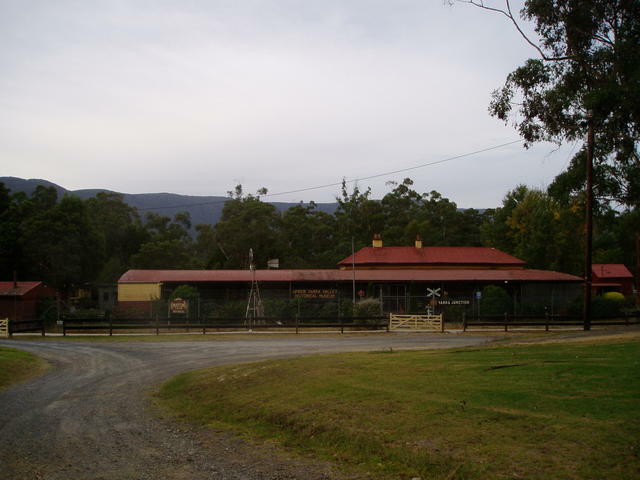 The original railway kept going in two directions in the old days, north to Yarra Glen and beyond, and east out to Warburton about 35 kilometres dead east towards the foothills of Mt Donna Buang. 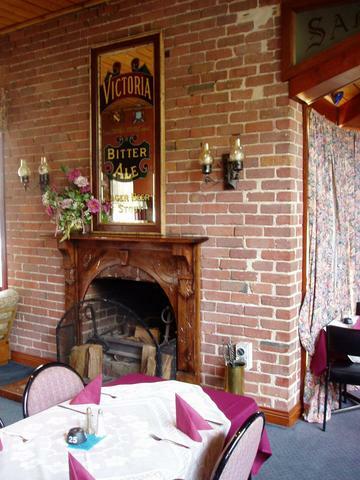 This itinerary closely follows the old disused railway line now called the Warburton Trail, and visitors can enjoy some great mountain views, follow the Yarra River to its beginnings up stream at the Upper Yarra Reservoir, and take in some beaut historic towns. So get ready for some fresh air, good walking, interesting exploring, and of course: some fine pubs and taverns en route! The township of Lilydale is the starting point of this Trail. Head east out of town, after checking out the hotels in the main street - Maroondah Highway, proceed about 3 kilometers over the hill, past all the big petrol stations, and the Lilydale International (on your left), and you'll see a brown Tourist street sign marking the split of the three regions in the area. You want to turn RIGHT and take the Warburton Highway for this trail. 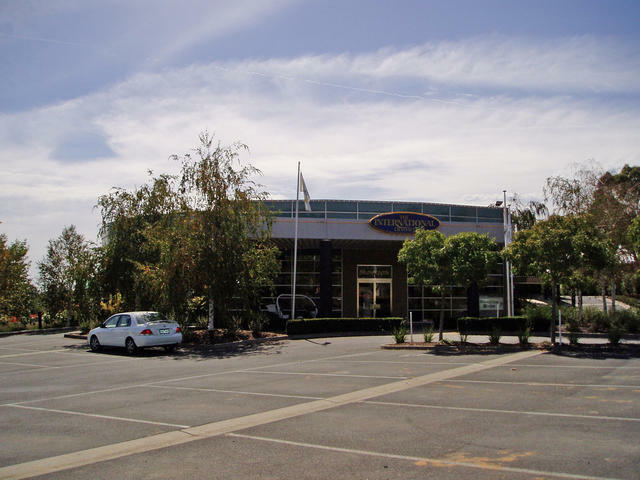 Gazza's spot: All the great car dealerships in town! 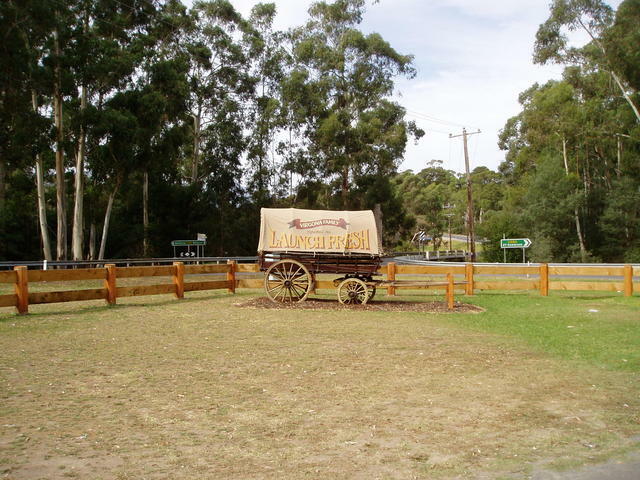 If you're caravanning, consider either staying at the Pinehill Caravan Park on Warburton Highway about 2kms from the Maroondah Highway turnoff (careful, it is on a left turning bend and you can miss it - keep an eye out for the blue caravan sign). 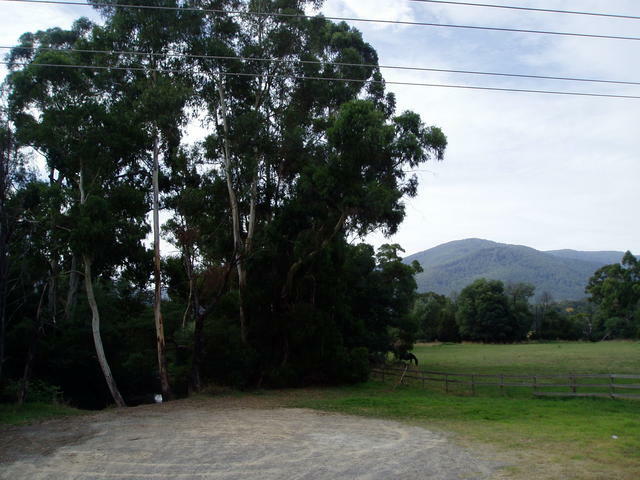 To explore from here through to Warburton can be done in either direction, or there is a fine park also at Warburton. Plenty of bed'n'breakfast accomodation throughout the area ahead...... so stay a while and enjoy! Gazza's spot: The old equipment sheds, housing the first grey Fergie tractor! 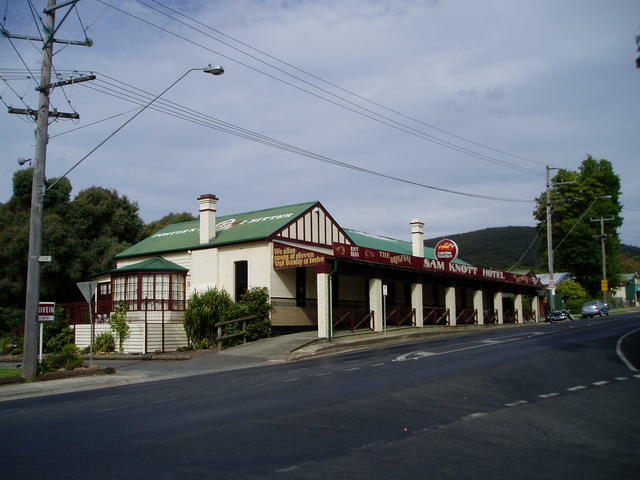 **After visiting Mont de Lancey, return back down Wellington Rd back to the original turnoff at Warburton Highway from where you came, and then turn (right) back onto the Warburton Highway and push on towards Woori Yallock. Don't turn right earlier at Clegg Rd cross roads, we want to get back to the highway and take you up to the Warburton (Rail) Trail first.... and then on up through Wandin to Woori! Mont De Lancey is just off to the right of the highway (take Wellington St exit just before Wandin) It has everything for a great day of exploring the history of Cherry growing in this area, has a great coffee shop cafe, a lot of history of the area, and boasts one of the largest working blacksmithing shops in Australia. Head out east down through Seville - watch it, the hill is steep, and the speed limit is 50km/h! Don't go losing any points here! The township of Seville - watch your speed down the hill into the town! And check out the signs on the local butcher shop on the left in the middle of the town - definitely an owner with a great sense of humour! 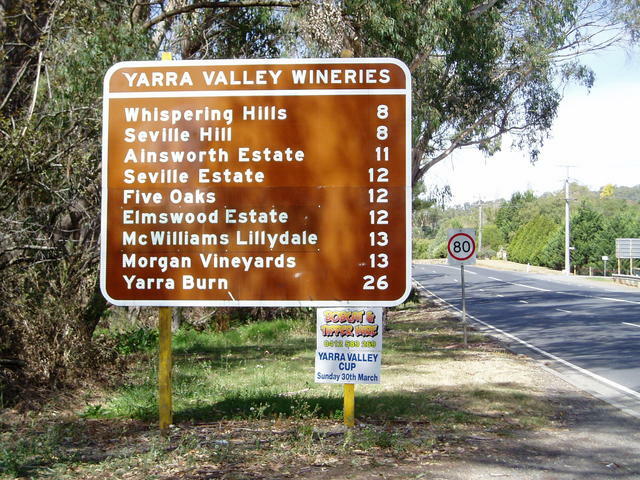 There are many sub-regions of the Yarra Valley winery area. 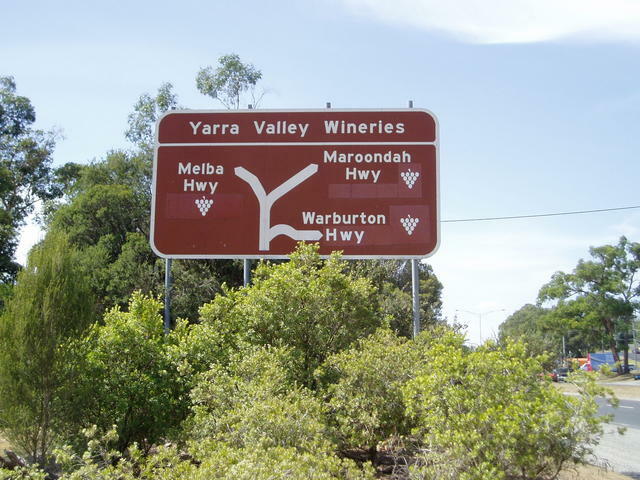 Along the road to Warburton you pass through the southern section of this huge valley of fine wineries. As you travel east out of Launching Place towards Warburton, you go down around a bend towards Don Rd coming in on your left, past a set of pedestrian traffic lights...... and there in front of you, looms the beaut little pub: Home Hotel. Launching Place is adjacent to a variety of great Berry Growing businesses that offer a great selection of fine produce in the area. Take a detour off the highway for a moment down Luscatia Park Rd on your right, just before the Launching Place township. It will take you about 10-15 minutes south to Hoddles Creek, where you can do a hard LEFT and travel north again back to the highway just past Launching Place. (round trip). There are many examples of the local fruit/vege vendors on the Warburton Highway at the end of that loop. What a great way that must have been to watch the game! Sitting on the balcony of the Home Hotel, you look across to what was once the local cricket pitch of the town! 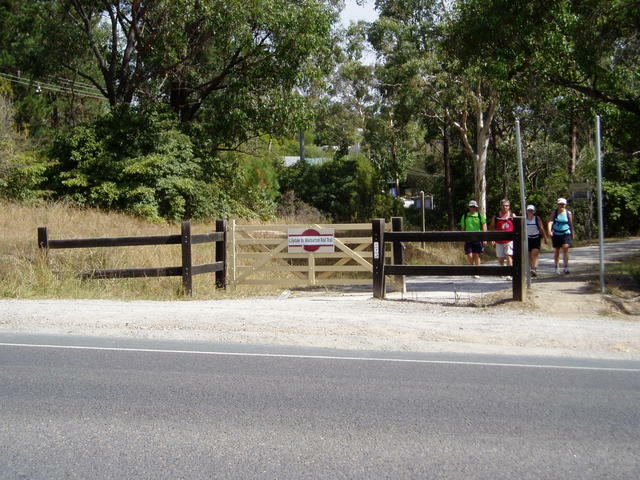 Gazza's spot: following the rail trail here. Top spot for some newly wed photos! 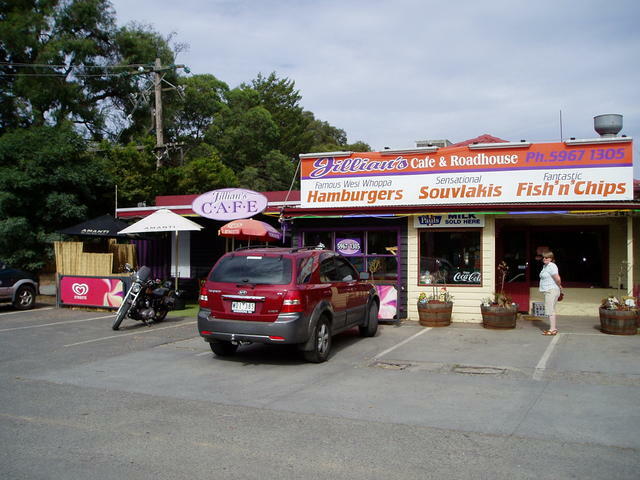 As you travel towards Wesburn, you pass the cemetery and on the right is an interesting cafe - definitely worth a stop and coffee break! Check out some of the great memorabilia in this cafe, just before reaching Wesburn. Wesburn has a couple of interesting antique and craft shops to wander through. Then at the bottom of the hill, you come to a pub-trailing icon: The Sam Knott Hotel. Inside of the magnificent Sam Knott Hotel dining room. It turns out the infamous Sam Knott (who has his face to the label of the original Victoria Ale advertisements) used to frequent this hotel as his local. The hotel is stacked with some great wood carvings, photos, mirrors, brochures and posters of Sam. And as for the interior presentation and hospitality, the Sam Knott Hotel is a 'must visit' for a meal! Gazza's spot: The information centre - water wheel. At this point, in Warburton, it is time to plan your next stages - onwards north towards the High Country or surrounds, or south west through some great forestry areas. 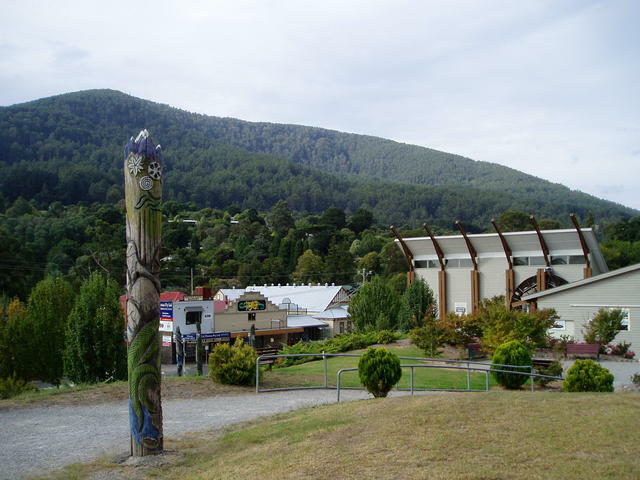 The options further east from McMahon's Creek and Reefton are many. You are starting to reach the more rugged areas surrounding the western edge of the High Country area that lays about 100kms to your North-East from here. Further up the road you come to Cambarville, where you can peel off to the left and head in thru Marysville. This is a good sealed road all the way, okay for caravans and normal cars. 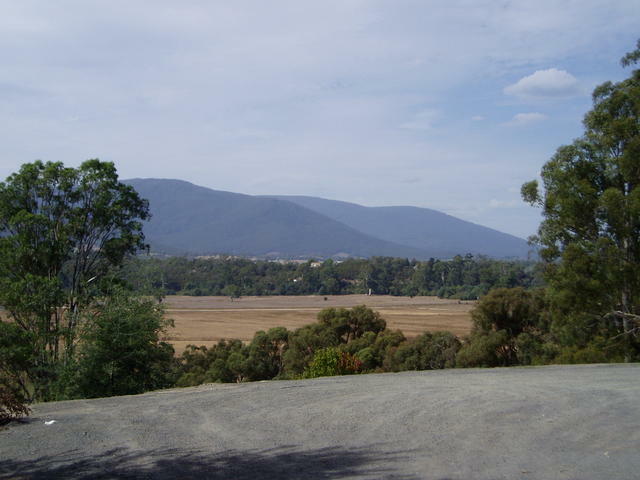 It leads you towards two other adjacent trails: Mt Slide and Black Spur that cover the area towards Alexandra, Mansfield, Yea and back in through Yarra Glen to Lilydale that way. The other road to the right, east out of Cambarville is more rugged. Not really suitable for caravans unless small (seek local advise). But the trail up through Matlock, Wood's Point to Jamieson and on to Mansfield leads 4WD enthusiasts into some magnificent country. 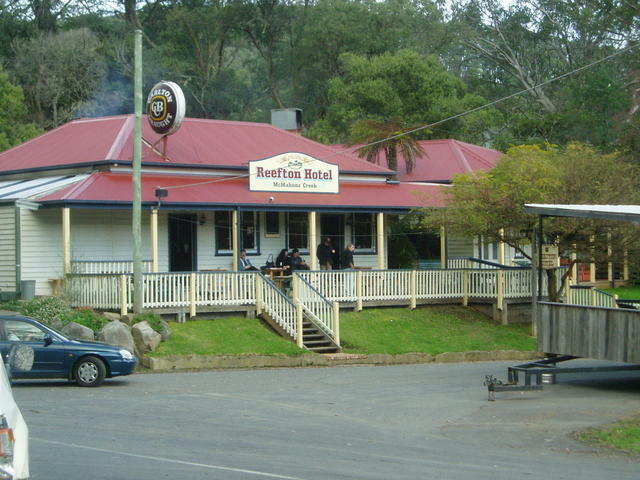 The recommended alternative direction to consider, is pushing back down south east, back into Warburton (after a quick exploration of Reefton above) for a while, then back again to Yarra Junction but then head on down into the Gourmet Deli Trail area through Noojee and Neerim (discussed here). 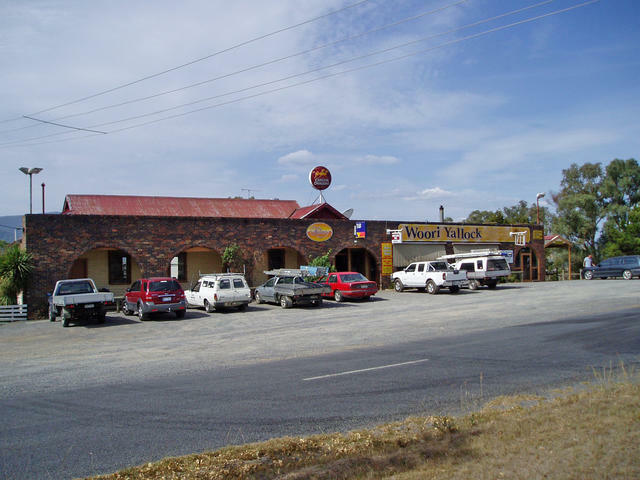 Take the Powelltown to Noojee southern exit at Yarra Junction (Yarra Junction-Noojee Rd) and head off towards a real outback icon called: "The Outpost Retreat." This establishment has something for everyone. 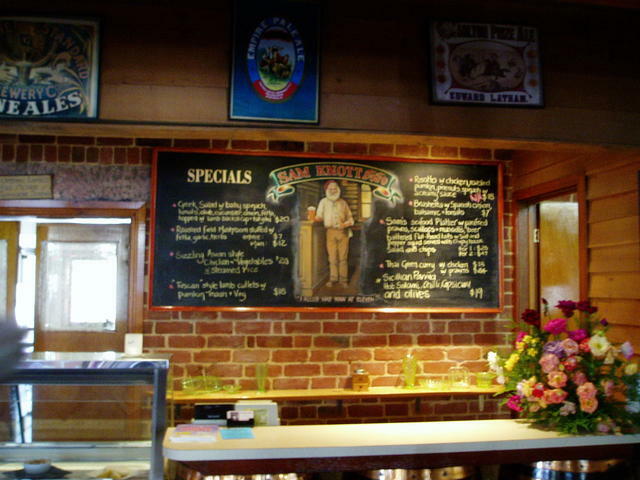 The "Toolshed Bar" has a great atmosphere with its open fire in winter, and totally surrounded by memorabilia. Hospitality abounds here - and it is a great stopover for a meal, a day or a night too! Noojee boasts a magnificent Trestle Bridge to explore, a trout farm, local wineries, craft shops, and is the entrance to Mount Baw Baw Ski Resort. 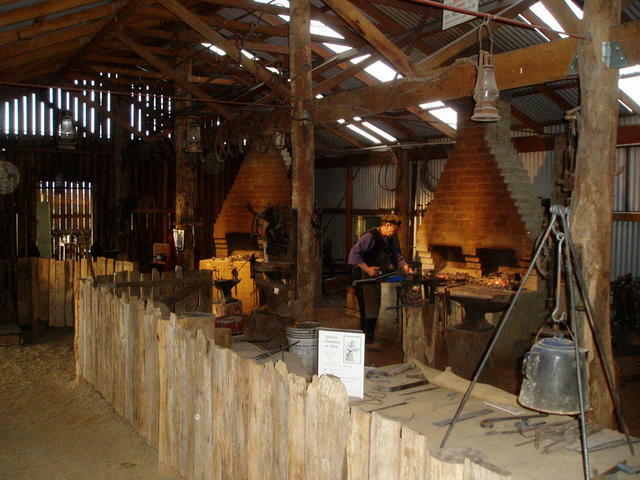 The other attractions of the area lay south of Noojee, travelling through Neerim Junction to Neerim South and emerging in Drouin or Warragul back on the Prince's Highway. So if cheese, smoked meats, venison, berry farms, local fresh produce, wine or breweries is your passion, then consider heading on down the Gourmet Deli run. **TIP**: If you are coming in along the Prince's Highway and are destined to exit from Melbourne, north towards NSW, then this entire TRAIL that has lead you through Lilydale to Yarra Junction (with some nearby exploring) and then down through Noojee to Warragul, is a great way to see the many areas that lay in this region, and to avoid the hustle bustle of outer suburban traffic! So try this trip in reverse from Moe to Noojee, to Warburton, and back to Lilydale. If you venture down to Warrigul from here, for those who are yet to explore the South Gippsland area - cut back along the Prince's Highway from Warragul to Berwick, and pickup the South Gippsland Trail! There is just so much to enjoy in this whole region! So rest a while in Warburton and consider them all! So.... stop a while in the town of Warburton and consider a few local trips around the area. There's heaps to do from Warburton. Water wheel in the middle of town. This is the information centre too. Enjoy the displays they have, depicting features of the area. 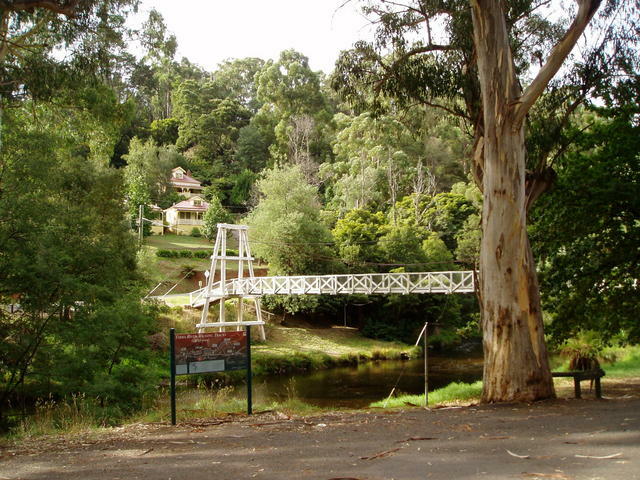 explore the bridges in Warburton. markets, eateries and craft abound! 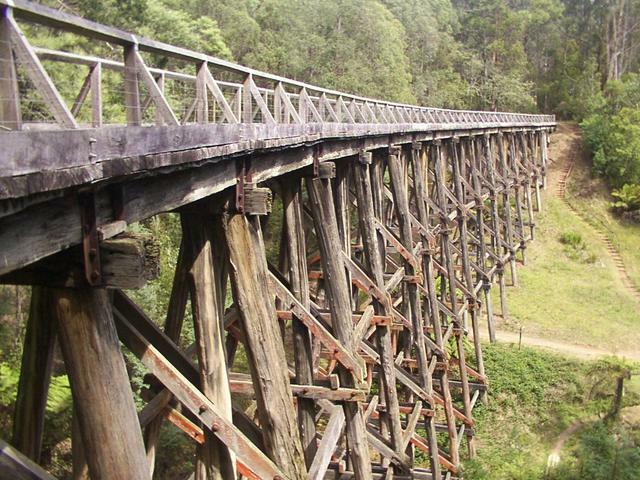 If travelling to Noojee, be sure to visit the trestle bridge. One of the many bridges over the Yarra River to explore along the edge of the town. Alpine Retreat Hotel at the western entrance to the town. 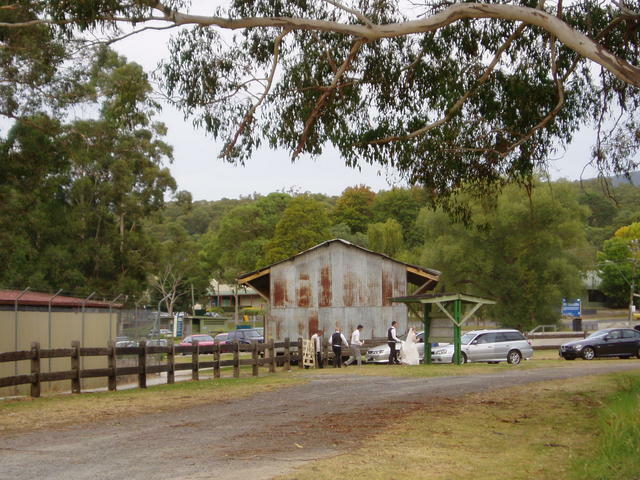 Attractions: Upper Yarra Reservoir (further east of McMahon's Creek. Gazza's spot: Checking out where the Yarra River begins at the dam. 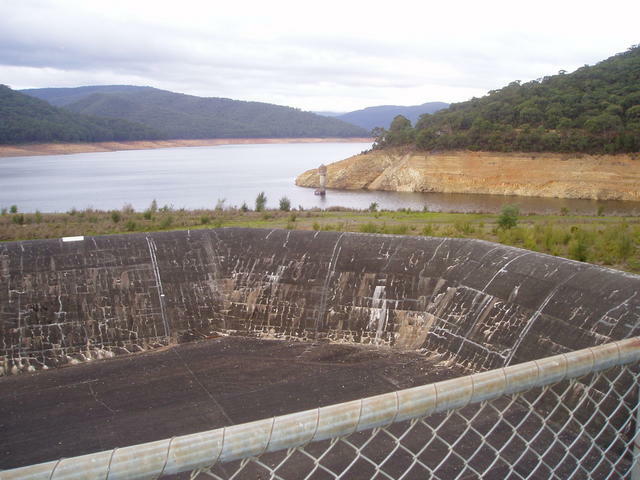 The Upper Yarra Dam is linked via an underground long tunnel from the Thomson Dam. 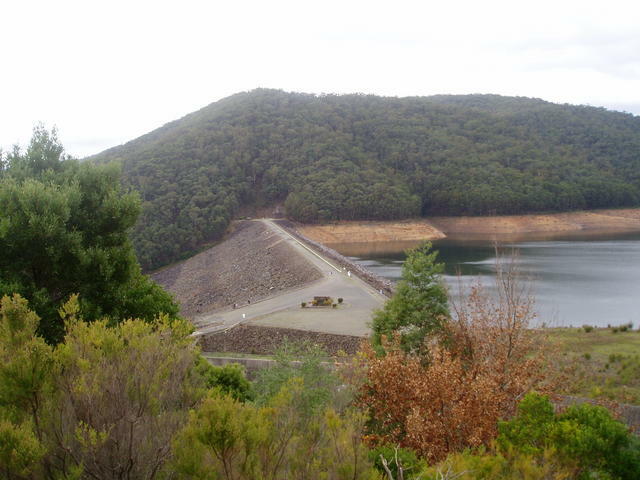 It allows water captured on the east side of Mt Baw Baw at Thomson Dam, to be sent west to the Upper Yarra Dam that feeds Melbourne's North East suburbs. It is also the point at which the Yarra River starts, which meanders down through the eastern suburban region and into the City of Melbourne itself. 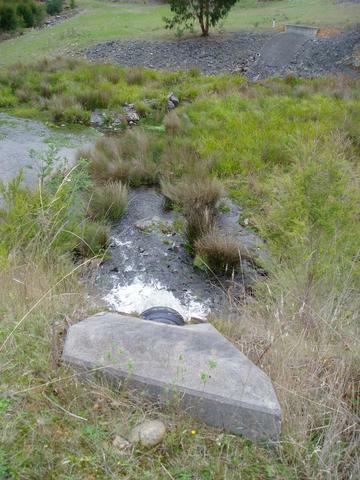 Here's the outlet of the dam, that feeds the Yarra River.